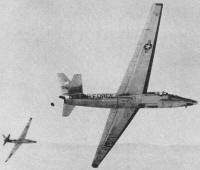 Most people having any familiarity with the Lockheed U-2 spy plane associate it with USAF pilot Gary Francis Powers being shot down in it in 1960, over the USSR during the height of the Cold War. 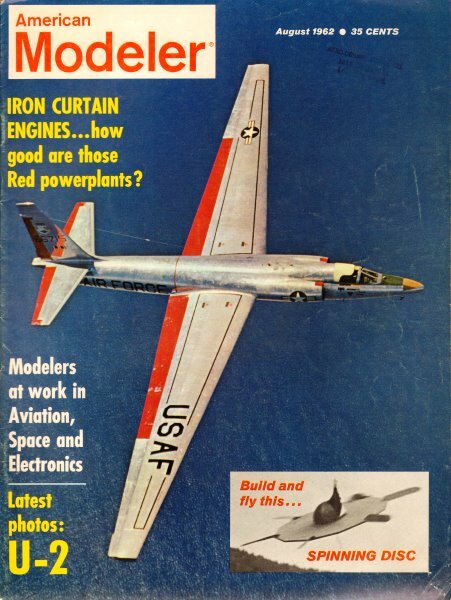 The U-2 first flew on August 1, 1955, and was the product of Kelly Johnson's Skunk Works, which also produced the SR-71 Blackbird and many other fine aircraft on the bleed edge of aerospace technology. 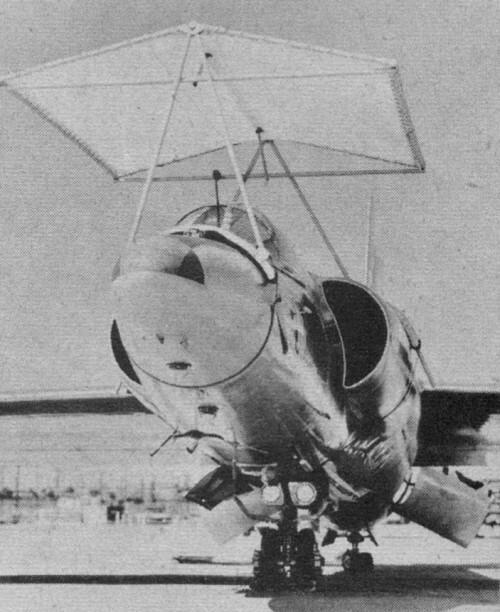 High altitude reconnaissance was - and still is - the forte of the U-2, making it a work horse for scientific research as well as its designed purpose as a human and military intelligence gathering platform. In fact, NASA still operates a few U-2s today. 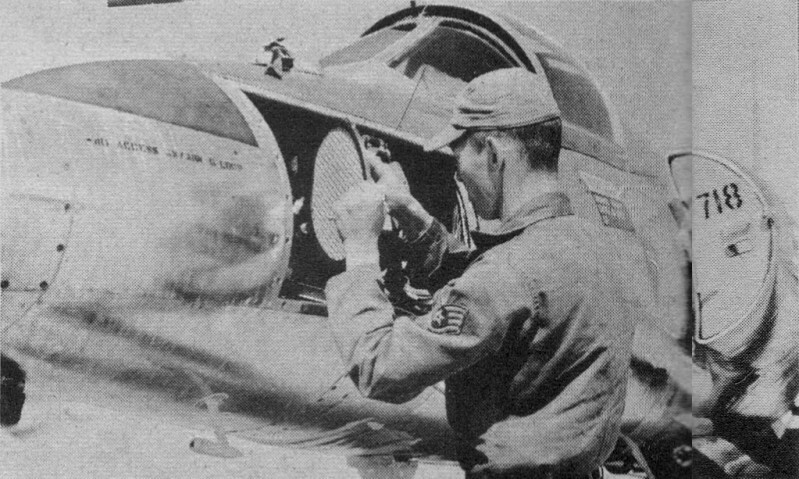 Although the U-2 is still discussed in official circles with restraint, some information has been released recently concerning the craft and its use. They have been operating from Edwards AFB since 1957 and are used to plot the course of tornado lines, collect cosmic rays, shoot high-altitude photos of hurricanes and cloud cover as well as of the Arctic and Antarctic, study high-level turbulence and jet stream, plus participating in the "Discoverer" satellite program by dropping dummy payloads to help training in recovery techniques. A report to Argentina by the Defense Atomic Support Agency has revealed some data concerning use of the U-2 in HASP (High Altitude Sampling Program). 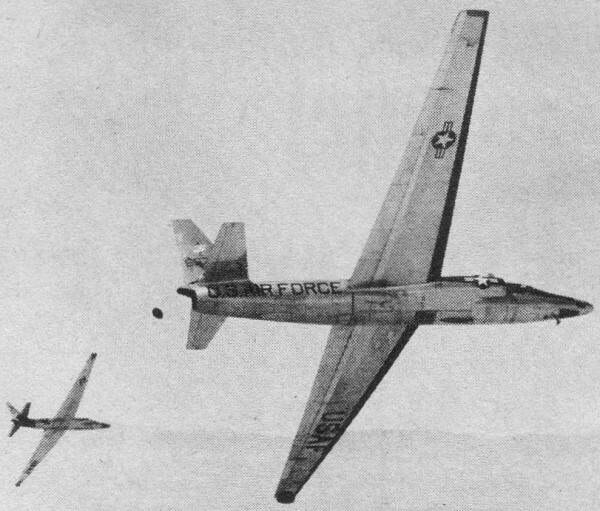 Basic sampling aircraft for the program is the U-2; six of these are fitted with a duct in the nose. The pilot opens the nose door allowing ram air to enter the duct which widens gradually to a 10-in diameter at the filter paper location. The filters are secured in a ring holder with a wire mesh fore and aft to provide rigidity and to prevent tearing. Four sample holders are placed in a circular rack by which the filters may be rotated sequentially into the duct by the pilot. An independent detachable hatch duct has also been installed. It is similar in design to the nose duct and provides a capacity of 6 additional 16" filter papers. 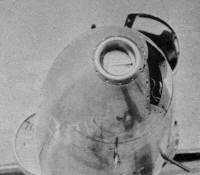 Two of the U-2s have also been fitted with a dust impaction probe. This sampling probe contains coated electron microscope, grids and/or small glass slides. The probe is loaded and unloaded in the laboratory and is designed for minimal contamination during times when it is not exposed to stratospheric air. Exposure is made during normal HASP missions. In the past, this specialized aircraft has been referred to as just U-2, but of late there has been reference to a U-2B and U-2D, as well as single-seat and two-place versions. Early Lockheeds were powered by a single 11,000-lb thrust P&W J57; later models are reported to have the more powerful J75-P-13. Wingspan is 80' 2"; length 49' 8". Forward landing gear is dual pneumatic type, approximately 20" diameter, is non-steerable; rear gear is dual hard rubber of approximately 8" diameter and steerable. A lightly stressed thin skin covers the U-2. J57 powered U-2 has a 3000-mi range at 475-mph at 70,000-ft altitude and flight endurance of 7 1/2-hr. Speed is Mach .73 to .80.